A window is an essential part of every residence which serves more than just one purpose but, is rarely seen as a décor solution. However, with modern innovations, glass windows have become a complementary décor feature for every residence. Glass is the easiest to maintain and also adds to the comfort, lighting and the aesthetic appeal of a residence. Also, with robust and functional glass solutions, concerns of safety and comfort are well taken care of. 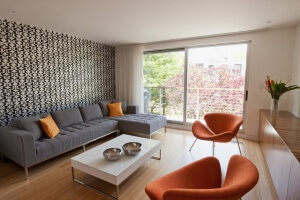 Noiseless interiors: A home is supposed to be a quiet haven for people who want to relax after a busy days’ work. However, with modern technology breaking barriers and crowded spaces, calm interiors seem a bit farfetched. Now, with the help of sound proof windows, you can significantly reduce the intensity of sound entering your home by almost 60%. Enjoy the tranquillity of your abode without worrying about unwanted noises. Sweltering Indian summers can be a real problem, especially during afternoons. The outside heat finds its way inside the home through regular glass windows. However, these glass solutions provide the most energy efficient way to keep your home cool, making your interiors naturally comfortable. 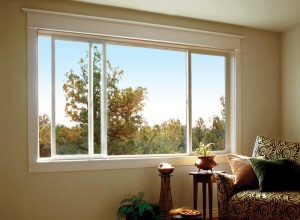 Often individuals are wary of installing glass windows in their home for security reasons. However, with modern glass solutions, like laminated glass, interior security is further enhanced. This durable and resilient solution is much stronger than regular glass, and almost impossible to break. For complete window solutions, these modern glass solutions also require a modern frame. If the basic material used for the frame isn’t sturdy, even the best glass won’t be able to serve its purpose. Thus, an increasing number of architects and designers are shifting towards uPVC frames which are far more resilient and durable than its traditional counterparts. It is also completely natural and recyclable, which also helps protect the environment. With so many effective and efficient features of glass windows, it becomes a highly recommended option for residential spaces. Make your home more peaceful and pleasant with glass window solutions. For more details visit us at www.glasxperts.com or call us at 08800392001.